At Alpine Eavestrough, we offer custom design services using high-quality materials to upgrade your home’s exterior and increase curb appeal. Whether you’re looking to add brand new siding or merely repair some damage, Alpine Eavestrough can install a gorgeous decorative finish. Our skilled team of specialists cares for your home and makes your siding safe all year round. Calgary weather is unpredictable, but our trusted Calgary siding company keeps you protected. Whether you are looking for commercial or residential services, Alpine Eavestrough is just a call away. 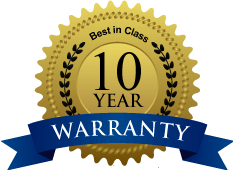 We guarantee the best quality installation practices for your Calgary siding. Our goal is to give you unsurpassed quality at the most competitive prices to increase your home's attractiveness and durability. We pride ourselves in having a skilled workforce that values the highest level of customer service, and it reflects in the work we do. Our Calgary siding pros have vast experience and skill when it comes to residential and commercial applications. These choices consist of mobile PVC, brick aluminum, composites and our main specialization, vinyl. Vinyl siding comes in a variety of unique colours and textures to compliment the look of your premises. Our preferred Calgary siding application is made out of polyvinyl chloride commonly known as (PVC). The benefit of the material is that it gives longevity to the life of the wood and masonry panels of your home. If you are running on a limited budget but still want the same calibre as installed timber, then vinyl is a fantastic choice. Engineered vinyl will cost around a third less than timber for a similar wall region. In most constructions, standard vinyl may cost around $1.5 to put in with no extra work such as painting. Cedar plank, on the other hand, might cost nearly $2.5 more not including trimming and paintwork. Since it's lightweight and relatively easy to install, vinyl siding may also have fewer setup expenses. Vinyl is resistant to termites and other insects which are inclined to damage walls; it also cannot rust. It may, therefore, withstand the tests of time for many years. An occasional clean may only be all you need to do to maintain its good looks while its durable material manages the rest. Vinyl will also require no painting or delicate upkeep. As mentioned, vinyl siding is available in numerous textures, colours, and sizes. Vinyl siding may also come in options that mimic timber, rock, brick or any other material used in wall cladding. The versatility of vinyl colours and details in the texture is so great that it's being adopted in the renovation of historic houses. 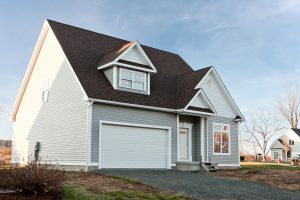 Vinyl siding comes with the ability to prevent thermal bridging, which is essentially the leaking out of heat through the studs onto the walls. Insulated Vinyl does this by insulating the studs and so prevents heat loss during cold seasons and keeps the home cool during warm summers. As a result, you end up saving a lot on your power costs. Modern Vinyl, utilized in most houses, is very durable and practical. 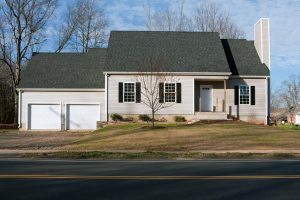 Both of these qualities are perhaps proof of why 32 percent of new homes in the United States are embracing vinyl siding. 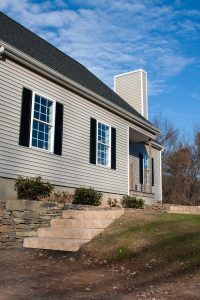 To experience the full benefits of vinyl siding in your home, talk to the experts at Alpine Eavestrough to begin transforming the siding of your property. Should you need any service from a Calgary siding company, Alpine Eavestrough is just a call away. We make sure that you've got the best quality building with reduced maintenance costs for the attractiveness and durability of your property. We pride ourselves in having a skilled workforce and experience in all areas of Calgary. Our customer service centre is always open for you, and our client service agents are continually waiting to answer your queries. We are the go-to firm for quality siding alternatives as we source a vast collection of goods and finishes to appeal to any client and we have a team that is passionate about assisting you in completing your home or building using a material that fits your requirements.